Labelled transition system based test theory has made remarkable progress over the past 15 years. From a theoretically interesting approach to the semantics of reactive systems it has developed into a field where testing theory is (slowly) narrowing the gap with testing practice. In particular, new test generation algorithms are being designed that can be used in realistic situations whilst maintaining a sound theoretical basis. 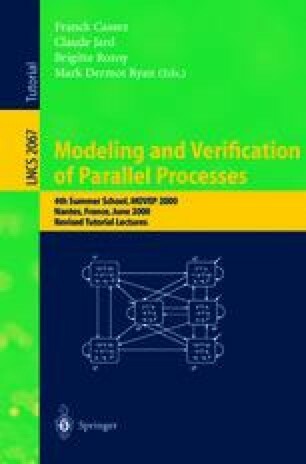 In this paper we present an annotated bibliography of labelled transition system based test theory and its applications covering the main developments. Spin. On-the-Fly, LTL Model Checking with Spin. URL: http://netlib.bell-labs.com/netlib/spin/whatispin.html.